Average 4.8 / 5 out of 57 total votes. One day, Song Shuhang was suddenly added to a chat group with many seniors that suffered from chuuni disease. The people inside the group would call each other ‘Fellow Daoist’ and had all different kinds of titles: Palace Master, Cave Lord, True Monarch, Immortal Master, etc. And even the pet of the founder of the group that had run away from home was called ‘monster dog’. They would talk all day about pill refining, exploring ancient ruins, or share their experience on techniques. 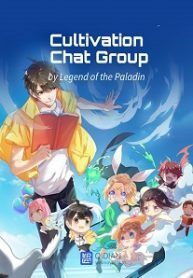 You’re reading chinese web Novel Cultivation Chat Group on BOXNOVEL.COM. We will have 2042 Chapters to completed this. Thanks!